Our founding principal, Mr. George Gay, has been in Christian Education for over 35 years. Mr. Gay has founded two other successful Christian schools and has consulted with many other schools in several states. Mr. Gay has implemented and directed excellent curriculum and instructional Christian School programs, which have received accreditation from ACSI and WASC. Mr. Gay’s passion is to daily nurture, train, encourage, challenge, and love kids, all for the glory of God. Mr. Gay received his B.A. from California State University, Fullerton. His teaching credential is from Southern California Christian College and his Masters in Educational Administration from Concordia University. Mr. Gay has been married to his wife Edie for over 40 years. He and Edie have 4 daughters & 11 grandchildren. Maria has a B.A. in Interpersonal and Organizational Communication from California State University, Long Beach. She is also certified as a trainer for “7 Habits of Highly Effective People”. Maria worked as a Subcontract and Training Manager for ResCare Workforce Services for over fourteen years and was committed to helping individuals and families become self-sufficient in a supportive atmosphere. 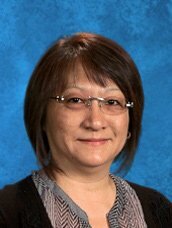 Maria has brought her experience and understanding of business management and process improvements to her role as Business Manger for Heritage Christian School. Maria and her family attend Calvary Chapel Pacific Hills. Maria and her husband, Robert, have two beautiful daughters. Grace, 9, is in 4th grade, and Faith, 7, is in 2nd grade at Heritage Christian. Maria loves camping and traveling with her family and enjoys anything Disney. Heritage was an answer to prayer for Maria and her family. She and Robert searched everywhere for a school where their daughters would be fed the Word of God daily, grow academically, and be supported by kind, loving, and caring staff, teachers, and administrators. Her goal is to contribute to the success of our school by supporting and collaborating with parents, teachers, staff, and administrators. 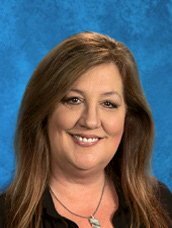 Christina joins Heritage Christian School with more than 18 years of professional and management experience. 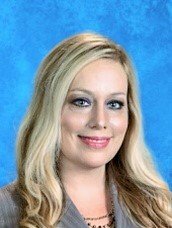 She most recently served in an operations management role within the Business Division at Saddleback Valley Unified School District where she worked closely with the Superintendent and Board of Education within the Facilities & Planning, Educational Services, and Business Services departments. Christina has always had a passion for serving others. This passion began at a young age where she spent time spreading the gospel to Southern Baptist Churches through her father’s ministries. She continued serving others through her decision to join the Marine Corp in 1996 where she played roles within military intelligence, logistics, and communications. The Marine Corps had a profound impact on Christina as she recognized her growing desire to lead and inspire teams towards common goals. During her tenure in the Marine Corps, Christina also attended Troy State University where she studied Elementary Education and Southern Wesleyan University focusing in Business Management. Christina met Rodney, her husband of 15 years, in Augusta Georgia in 2001. Together, they have an eleven year old son named Vin who has attended Heritage Christian since preschool. We are honored to have Christina join HCS as the Director of Development. Edie Gay has her A.A. degree in Early Childhood Education. She has served in ministry along side her husband for over 35 years. She has been married to George for 40 wonderful years. They have four beautiful daughters and four amazing son-in-laws. She enjoys spending time with her 9 adoring grand children and cooking for her entire family and friends. She counts it a joy and privilege to be working at Heritage Christian School. Betsy received her B.A. in Christian Education from Biola University. She loves people of all ages and has devoted a great part of her life to raising five children as a stay at home mom. One of her greatest loves is reading and books. She has a passion for helping children develop a love of reading and to find books that fuel their desire to read. She finds great joy in bringing books to life by reading aloud to children of all ages. Her life verse is John 17:3, which speaks of having a personal experiential relationship with God through His Son, Jesus Christ. Rachel Miles earned her Bachelor of Science in Human Development from Hope International University. She has been certified through the American Sport Education Program and the California Interscholastic Federation – CIF Coaching Education Program. Rachel has been a PE teacher for 16 years and an athletic director for 8 years in Christian education. She has coached softball for 16 years and has brought home the championship 6 times. Rachel grew up in a Christian home and feels very blessed everyday of her life for the parents God gave her. She has two wonderful children whom she adores, Sean 22 and Ryan 18. In her free time, she likes taking walks on the beach, reading, and watching a good softball game!!! She also spends time with the Special Olympics, where she helps coach their co-ed softball team and special events. Jesus is her Lord and Savior and without Him she is nothing. Rachel always tries to live her life in a manner that would honor God. She feels God has led her to Heritage Christian School and is very excited to see how God is going to use her here at HCS. It is an honor and a privilege to be on staff at HCS! Nicole Montes attended and graduated from Mission Viejo High School. She currently is a freshmen at Saddleback College where she will be getting her Associates Degree and later will attend Vanguard University. She has worked in the childcare field for 3 years now. She first started working at Olivewood Elementary in the TLC program. She attends Faro Church with her family and serves in the Children’s Ministry. She is the oldest of three children, her younger siblings attend Heritage Christian School. She enjoys volunteering, going on missionary trips and spending time with her family. Working at Heritage Harbor has been such a blessing for Nicole, she can see God’s love through the children and looks forward to work every day. She believes Heritage Harbor is not only an after school program but a place where children will grow and make long life friends. 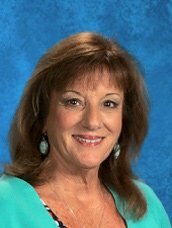 Sharon came to Heritage Christian with almost 30 years of teaching experience. She has taught various grades with early childhood being Her favorite. She has a M.A. in Early Childhood Education from Pepperdine University because she believes that a solid foundation for learning begins in the preschool environment. She lives in Mission Viejo with her husband and 3 home schooled sons. She enjoys working with children through the discovery process and watching them develop their skills on a daily basis. It is also important for her to be able to share her love of Jesus with her students through her teaching. Stefanie Risko graduated with her Bachelor’s Degree in Child Development from California State University, Los Angeles. She has worked as a preschool teacher at Heritage Christian School for the last three years. She is excited to work alongside our preschool director this year as administrative assistant and aftercare coordinator. Stefanie and her husband attend Watermark OC Church and love the Couple’s Devotions there. Stefanie loves to read, cook, and spend time with her adorable nieces and nephews. Stefanie feels very blessed to be working in such a loving and God-seeking environment. One of Stefanie’s favorite things about working at HCS is seeing the little ones grow closer to Jesus every day. Hi I’m Melissa Beoletto!! I have been married to my husband for 12 years and have one daughter who is 7 years old and in the second grade. I’m so blessed to have them as my family! We enjoy going to amusement parks, going on adventures, doing outdoor activities, and playing games. I have my Early Child Development certificate from Irvine Valley College. In my free time I love going out with my mom and my daughter. I enjoy playing video games, watching tv, or just sitting and relaxing. My husband and I we love going to concerts, watching Broadway shows and trying new restaurants. I truly feel blessed that every day I get to work with children. I have been working with children over 15 years. It is a true passion that I have love helping them learn, play, laughing with them and teaching about God!! My name is Lorena Casillas. I attended Cerritos College where I received my certificate in Early Childhood Education. I have more than twenty years of teaching experience. I live in Mission Viejo with my husband Ricardo and three dogs . We have two adult children. Our oldest, Ricardo Jr. is 26 yrs. old and a graduate of UNLV. Our 20 year old daughter Genecie is attending CSUSM. My calling is to serve The Lord through teaching. I’m very blessed to have been part of the HCS family since 2007. Frida has been working at Heritage Christian School since Fall 2010. She has an A.S. degree and certificate in Early Childhood Education from Saddleback College. She is so grateful to be continuing her B.A. degree in ECE at Vanguard University. Frida is originally from Hawaii, enjoys the beach, reading books, writing, learning,gr een tea lattes, and the color purple. She and her husband love attending Calvary Chapel Pacific Hills. Frida is thankful to have an opportunity to work with young ones and is blessed to serve the Lord at Heritage Christian School. Ms. Wendy was born in Huntington Beach Ca and has three amazing children, Sloane 20, Makenzie 19, and Hunter, 17. She has two fun loving dogs Tank and Zues. Ms. Wendy has her degree in Early Childhood Education and has been a teacher for 12 years. She feels so blessed to be a part of Heritage Christian Preschool. Ms. Wendy loves to watch football especially her son play and watch her daughters who are on a competitive World Cheerleading team. She also enjoys the beach, a great movie, and backyard BBQ’s. To everything there is a season and a time to every purpose under heaven, I hope you still take the time to run through the rain. I-Fen was born in Taiwan. At age fifteen she and her family moved to California. I-Fen earned her Bachelor’s Degree in Architectural Interior Design and worked as an interior designer in San Francisco prior to coming to the field of early childhood education. I-Fen loves anything to do with art. She also loves working with children. Her passion for early childhood education began when she joined a mission trip to Taiwan for English teaching in 2007. She found that she has a great love for children, and decided to pursue her new career further in this direction. I-Fen recently graduated Saddleback College with an Associate Degree in Child Development. She believes teaching is an incredibly important profession and is glad to be a part of it. She wants to inspire children to keep learning. I-Fen attends Saddleback Church in Lake Forest, where she is involved in Bible studies and children ministries. In her free time, I-Fen enjoys reading, listening to the music, spending time with friends and family, and watching her son playing tennis. Susan graduated from San Diego State University in 1993 with a Bachelor of Arts in Applied Arts and Sciences, Liberal Studies. She then earned a Multiple-Subject teaching credential from National University. 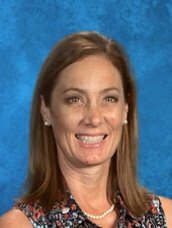 In 1998, while teaching at Foothill Ranch Elementary School, she earned a Master of Science in Administration from Pepperdine University. There she also assisted the principal with administrative responsibilities as “Teacher on Special Assignment”. Susan has taught Kindergarten, First and Second grades in public and private institutions. Susan’s classroom environment is one that her students feel safe, loved, and encouraged to achieve their best. 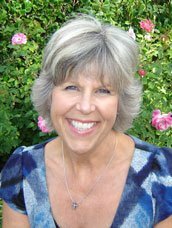 Susan focuses her teaching on developing each student’s spiritual, academic, social and physical well being. She incorporates God’s word in her teaching by including the Holy Bible in all areas of the Kindergarten day. She believes that encouraging a student’s relationship with God at an early age allows Godly principles to become the foundation for growth in character and academic achievement. 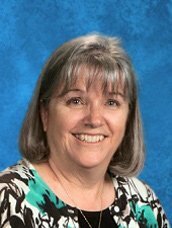 Susan is honored to serve at Heritage Christian School as she teaches and empowers her students to achieve God’s plan for their life. Personally, Susan is married with two high school aged children and three dogs. Kelly Pollard graduated with a Bachelors Degree in Child and Adolescent Development, a Masters Degree in Education with an emphasis in Curriculum and Instruction, and a K-8 Multiple Subject Teaching Credential from California State University, Fullerton. 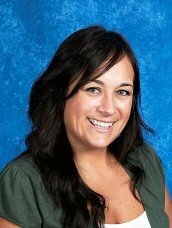 Kelly was a substitute teacher for two years in the Saddleback Valley Unified School District where she gained experience teaching grades K-12. She taught 1st grade in the Lompoc Unified School District. In her free time, Kelly enjoys hiking, swimming, reading, and traveling. She believes in teaching to the whole child and knows that teaching at a Christian school will allow her to reach her students both academically and spiritually. After being called to be a missionary at the age of ten, Danielle pursued her education and missions degree at Pensacola Christian College where she met her husband and went off to Spain for 14 years. She has taught a wide range of ages and grades throughout her career, teaching English as a second language in Spain, homeschooling her three boys and then later teaching high school Spanish and middle school English. Her dream class would be second grade, the perfect age! She is originally from upstate New York and enjoys the change of seasons especially the fall. Sports and adventure are a big part of her life! She is thankful to live in Surf City to be able to swim, run, hike and bike often with her husband and young adult sons. Traveling around the world to tell people of Jesus will be her second grade theme this year. She is eager to instill in them early on a love for Jesus and a desire to tell others of His love along with a love for reading, writing and arithmetic. Rebecca Hayes graduated from Southeast Missouri State University with a Bachelor of Science in Elementary Education and a minor in Psychology and History. Becki completed her Master’s Degree in Theology and Christian Education in 2007. Becki holds a Lifetime Kindergarten-Eighth Grade Teaching Credential and also an ACSI Teaching Credential. 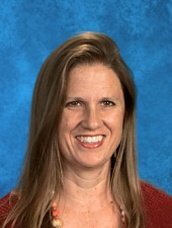 Becki has taught in grades first through fourth for over 34 years in both public and Christian schools throughout the United States, with the last 23 years in California. She attends Lutheran Church of the Cross, where she serves in the Stephen’s Ministry program. She enjoys playing with her grandchildren, Hayden, Ethan, Marcy, and Elizabeth, walking her corgis and reading. Becki is called to the teaching ministry and to Heritage Christian School. She feels that every child is a gift from God and loves involving children in ministry work. Her desire is to help each child reach the potential that God has placed within them. Bryan graduated from Cal State Fullerton with a Bachelors in Liberal studies. Before graduating from Fullerton Bryan attended Fresno State where he played soccer on scholarship. He attended National University for his teaching credential. Bryan has worked for several years in the public-school system as a substitute and a high school soccer coach. He has been married to his wife Melissa for 14 years and has three wonderful children Sadie, Maverick and Braylon. He attends Reverence Bible Church, Heritage Christian’s home base. In his free time Bryan loves to watch soccer, movies, and spend time with his family. Bryan feels extremely blessed to be joining the Heritage Christian family. It has always been his dream to be a teacher and to work in ministry, Now he gets to do both. I have been married for 26 years to the best partner in life. He is an engineer with the City of Long Beach Fire Department. I have 2 sons ages 23 and 19. We camp, play games and love movies! My happy place is the beach…with a breeze and a good book. I have a B.A. and teaching credential from Long Beach State and a M.A. in Educational Administration with an administrative credential from Concordia. I have been in the classroom as an elementary teacher, middle school teacher, technology teacher, and teaching vice-principal. I have had a variety of experiences in education, in and out of the classroom, for the last 30 years. Fifth grade is one of my favorites. We will have so much to look forward to this year as we grow physically, academically and spiritually. Our classroom will be organized, creative, collaborative, and full of His love and understanding! 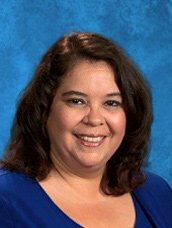 Mrs. Melanie Arambula graduated with a Bachelor’s Degree in Political Science and a minor in Psychology from the University of Nevada Las Vegas. She later completed a Masters Degree in Elementary Education grades K-8 from Western Governors University. 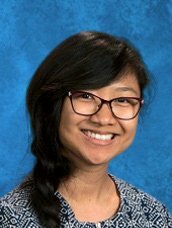 After completing her Master’s Degree, Melanie became licensed to teach in the state of California by obtaining her K-8 Multiple Subject Teaching Credential from the California Commission on Teacher Credentialing. 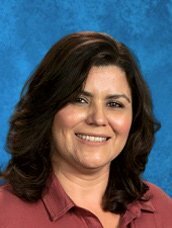 She has taught all grade levels from kindergarten to high school as both a substitute and full time teacher in Clark County School District, Westminster School District and Garden Grove Unified. 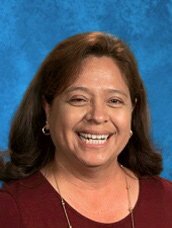 Mrs. Arambula is a devoted wife to her husband of seven years, a loving mother to her 5 year old son and one year old daughter, and a passionate teacher committed to using the most effective teaching strategies to reach all of her students. She believes in placing all of her trust and hope in the Lord while always seeking Him to guide her steps. 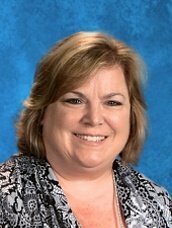 She is honored to teach sixth grade and be a part of the Heritage Christian School staff. She is most excited to place the Lord first each school day. She enjoys traveling, reading, spending time with her family and church community group. She currently attends Mariners Church in Mission Viejo. Scott Bruce is excited to be a part of the Heritage Christian School family. Scott has been teaching for 16 years in the private sector. Scott was born and raised in Southern California. After graduating from Irvine High School, he attended Orange Coast Community College and San Diego State University where he earned his B.S. Degree in Psychology. Scott continued his education at National University. Along with teaching at HCS, Scott is a coach at Saddleback Valley Volleyball Club. Scott has been married to Kristan for sixteen years and has been blessed with two sets of twins, Lexie and Matthew and Ryan and Jack. In his free time Scott enjoys volleyball, skiing, camping and going to the beach with family and friends. Deborah graduated from Cal State Fullerton with a Bachelor of Fine Arts. 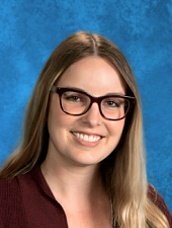 She taught Art to grades K-High School at Spirit ChristianAcademy in Tustin for 14 years and has currently been the K-High School Art instructor at Heritage for five years. Deborah lives in Mission Viejo with her husband of 27 years, Robert. Her daughter is a recent graduate of Point Loma Nazarene University and works in San Diego at Sharp Memorial Hospital as a Registered Nurse. Her son is an engineering major at Cal Maritime University in Vallejo. She and her family have attended Mission Hills Church in Mission Viejo since 2005. Deborah believes that God has blessed every child with the ability to learn art. It is her passion to bring out this ability and create a love for God and all the art He has created for us to enjoy. I have been happily married for 27 years to my husband, John. We have three children, with our youngest child still in high school. For the past two years, we have enjoyed fellowshipping at Voyagers Bible Church in Irvine where my daughter and I serve in the children’s ministry. In addition to a ladies summer Bible study, I attend Bible Study Fellowship (BSF) throughout the school year. I see education and teaching as both a ministry and a vocation as I have chosen to teach at schools who embrace Jesus Christ as Lord and Savior.As a teacher, I have had the pleasure of being in the education field for the last 12 years. I taught 6th and 7th grade Math at St. John’s Lutheran School in Orange, where I also enjoyed coaching 5th grade girls’ volleyball. At St. John’s we explored the nefarious world of Professor Sneizzelweitzel, waged war on integers and developed the best “secret” formula for orange fizz, as well as created our very own robot. Previously to teaching at St. John’s, I was the Director of Education at Mathnasium Learning Center of Rancho Santa Margarita where I worked with students from 2nd grade through high school. 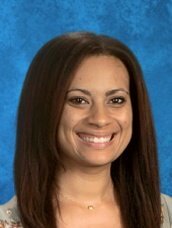 I also have nine years of teaching experience at Spirit Christian Academy where I taught various levels of mathematics (3rd grade through 6th grade Mathematics, PreAlgebra, Algebra 1, Geometry and PreCalculus) as well as Bible. I have a Bachelor of Arts in Liberal Studies from Azusa Pacific University and am currently completing my Single Subject Credential in Mathematics/Masters of Education program. 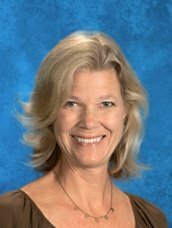 Wendy Luttinen has had 25 years teaching experience in both public and private education. She earned her B.A. in English from Whitworth College in Spokane, Washington. She graduated from the University of Washington with her M.A. in Curriculum and Instruction with an emphasis on Writer’s Workshop. She is ACSI certified with a lifetime membership. 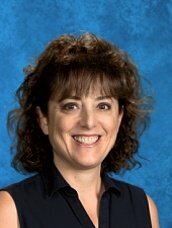 Wendy has taught under Mr. Gay’s leadership since moving from Washington State to California in 2001. She has wanted to teach since she was a first grader and is living her dream. Her passion for writing is contagious as she is able to inspire all students, from the most reluctant to those who are gifted in writing. Emily has been a teacher at the jr. high level for the last thirteen years. 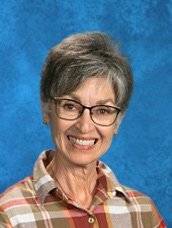 She has taught World History, United States History, Spanish, and has coached three Tri-Way League Championship Volleyball Teams. She has always dedicated herself to education. Emily received her Bachelor of Arts degree in Education at Hope International University and is credentialed by ACSI. Emily attends Compass Bible Church with her husband and family. In her free time she enjoys coaching volleyball and spending time with her family. 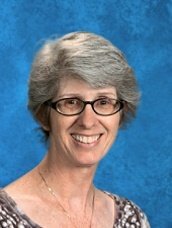 Emily has been with Heritage Christian School since its inception. She believes in the work God is doing here. Her goal for all of her students is to learn how to love God wholeheartedly and love others unconditionally. Taylor Bedoya is passionate about the ministry of teaching. After graduating from California Baptist University with her Bachelors in Psychology, Taylor began teaching in the context of church ministry as a Children’s Director and now Families Director for Canopy church. Taylor and her husband recently welcomed their first child into the world, and are having an incredible time being parents and watching their son reach each milestone. When it comes to her students, she believes that the process of growth as one trusts in God is just as important as the destination. She desires to support students as they dive into their own journey of growth knowing that God is with them, delights over them, and will empower them to live out their calling, academically and beyond. Becky has had 30 years of teaching experience in both public and private education. She grew up in the Philippines; attending a Christian school for missionary kids. Becky earned her Bachelor of Science in Physical Education and teaching credential K-12 at Biola University. She was an Elementary P.E. 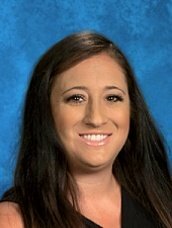 Specialist 10 years in the Placentia-Yorba Linda Unified School District, where she also coached both Jr. High and High School sports (basketball, soccer, softball and volleyball). Becky was also a Swim/ Water Safety Instructor and Jr. Life Guard trainer for many years. Other related hobbies include VBS, camps, coaching and officiating Little League baseball, girls softball, AYSO and club volleyball. She and her husband, Dave, married 29 years, have a son, Steven, 1st Lt. Air Force fighter pilot; and a daughter, Traci, attending Cal State Fullerton. Becky loves the Lord and serves Him as the Awana Ministry Director at Mission Hills Church. Her desire is to teach and encourage kids to give their best and to make physical activity fun so it becomes a life-long goal. 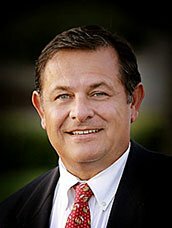 Rick Niswonger is a graduate of John Brown University, a small Christian college in Arkansas. He majored in Social Studies and Secondary Education. He then began his teaching career at the Southern California Military Academy in Signal hill. It was a Christian school with K-9th grade where he served as teacher, chaplain and coach. It was here that he met Janet another teacher and now his wife of 41 years. She and Rick had two children, Jeremy and Emily. After ten years at that school the Lord miraculously provided a job in the computer software industry for 15 years. 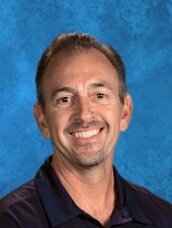 Rick eventually jumped back into Christian education as the head-of-school at Brethren Christian Junior and Senior High School from 2002 to 2017. He and Janet have been in Christian education for a combined 65 years. Raised in a Christian home, Rick began to have doubts about his Christian faith in College. He started to think you could never be certain of the truth. But at JBU, he was confronted with the evidence for the resurrection, the fulfilled prophecies of Jesus, and other historical evidence. It was with great surprise and joy that he realized the Christian faith was actually, verifiably TRUE! Forty years later Rick is still and increasingly, in awe of who God is and how He loves us! Heritage Christian School is a priceless jewel in God’s kingdom. Its Godly leaders navigate against the flow of our decaying culture honoring our treasured nation and lovingly training up our precious children in the nurture and instruction of the Lord. Rick is grateful to God every day for the opportunity to serve the fabulous students of HCS helping them understand the truth of God’s Word in Apologetics class and the blessing our nation has been to the world in “Government” and “Current Events” classes. Rick says, “The best part of each day is walking out of the classroom at the end of the day and saying “Man that was fun and then realizing, Whoa! This is my JOB!” Rick says: “Here the students relate to one another in a family way, and yes, that means even the Junior High boys.” (BTW Rick admits that he, himself, is a recovering Junior High boy.) “The students seem to like, appreciate and encourage each other. I have not heard a mean word spoken yet by anyone!” Final Note: Rick Niswonger graduated from John Brown University with a Bachelor’s degree in Secondary Education, Emphasis: Social Science. Additional course work: California State University, Biola University, California Baptist University, Talbot Seminary and the Hebrew University of Jerusalem. 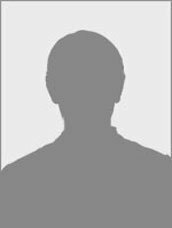 He possesses a Single Subject California Credential (Social Science), and an Association of Christian Schools International Certificate (Secondary Principal). Rick spent 15 years in software education and has been a Christian School educator for 25 years.